I’m not sure about you, but I tend to swim in the big gully of guilt on a daily basis in this life called mommy hood. Add to this the critisizing comparisons that we seem to find in social media and suddenly we have a war zone of helicopter vs free-ranger, with a side of made from scratch vs boxed lunches, followed by a stay-at-home/work-at-home/work-out-of-home all out brawl and you have yourself a community of moms who, instead of relishing one on others uniqueness, spend untold hours trying to make everyone else just like us so we won’t feel so guilty for not doing what they are doing. Can’t we all just relish and cherish each other’s strength and specialty? This, coming from a person who has spent YEARS trying to talk myself into a mold that I just, well, don’t fit. At least not in the ‘perfect molly mormon mom’ mold that as a teen I thought would be the end all to existence. A tiny background on medical training. My hubby grew up wanting to be a doctor. He didn’t know much more than that – just he wanted to be a doctor, knowing vaguely (thanks to his MANY trips to the ER as a youth) that they work in the hospital and help people. Pretty noble ambition, right? Little did he know before entering med school that the term ‘Doctor’ is so vague and general that it doesn’t even begin to describe the profession. These people spend two years studying general medicine, and then the next two years they spend “touring” (side note, hubby would HATE that description, because it was ANYTHING than a vacation – it was hard work!!) the different specialities out there. You see, when you get into medical training, the question is no longer, “so, you want to be a doctor?” it is now, “What is going to be your specialty?” After 4 years of medical school, they then go to a residency in which they spend anywhere from 3-10 (yes, TEN!) MORE years, studying their specialty. Sometimes they THEN do a fellowship where they get even more specialized. Like all doctors, there are some specialties that my hubby loved when he did his rotation with them. There were others where he couldn’t finish the rotation fast enough! At the end of the day, the hope is that the doctor has been able to not only be a doctor, but be able to specialize in his or her passion. When they hit that sweet spot, man, they are like a kid on Christmas going into work! It’s a beautiful thing. It’s even more beautiful when you have seen them go through training for a specialty that they just don’t like at all. The difference is night and day. My hubby did an extended stint (called internship year – I won’t go into details explaining this mode – just to let you know that it was a year long) in internal medicine. 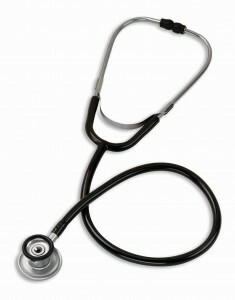 Internal medicine is extremely important to the overall field of medicine. Many people love this field and flourish in it. My hubby is not one of those. He came home so many days saying, “man, if I had to do this my whole career, I would die!” It was evident in his energy level and <lack of> excitement throughout that year that, though he was a doctor, this was definitely not an area that he enjoyed. However, it’s important to note that he didn’t just sit in the corner and sulk either. He didn’t say, “well, this isn’t what I like, so I’m just not going to do it!” He worked hard, he excelled, and he helped many many patients throughout that year. His true niche, I daresay his calling in life, is truly with dermatology surgery (skin cancer guy). After days that he spends in surgery, I love to hear him recount his activities and see how giddy he gets describing the intricate cuts and flaps, and twists it took to rebuild someones nose (or ear, or even eyelid!) once he got all of the cancer cut out. He truly is in his mode when he is doing mohs (skin cancer surgery). I am the first to admit that this specialty is not for everyone either. One of my good friends, upon learning about my hubby’s specialty said that her hubby really tried to like dermatology, but just hated it. He chose radiology instead and still loves it. Here’s the thing: they are all doctors. They all have different specialties. They don’t spend their time poo pooing other peoples chosen specialities. They simply work in their realm under the ‘doctor’ umbrella, and let other specialists work in other realms under the same ‘doctor’ umbrella as well. They don’t distinguish one specialized doctor as a ‘good’ doctor, nor another one as a ‘bad’ doctor. To put it in simple terms – they all play nicely in the sandbox. Okay, are you still with me here? I know that was a long worded set up – but let’s transfer this to motherhood. First point: let’s say that once my hubby had become a doctor, the only thing that he was given the option to do was be in internal medicine. And then he spent all his time either trying to make himself love this specialty when he clearly didn’t, and fighting within himself wondering why, although he loved being a ‘doctor’ … he didn’t really like being a ‘doctor’ (in the internal medicine sense). 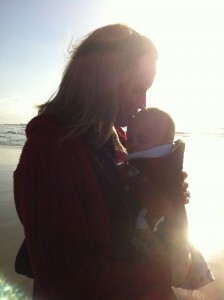 On the same token – I lived my whole growing up years wanting nothing more than to be a mom. it’s all I talked about, planned for, and dreamed about. Now I am in the thick of it. And though I love being a ‘mom,’ there are, quite frankly, some parts that I really don’t like about being a ‘mom.’ A lot of time in the past few years has been wasted by me trying to cover my guilt over this realization. I couldn’t understand why, when I had finally been able to fulfill my dream of being under the umbrella mom term, I could feel so completely unfulfilled at the same time. Then I sit in church lessons, or hear other women talk about how much they love being a mom and my guilt got multiplied. A year ago I finally came to one thought that started to set me free of my guilt: I realized that in admitting that I didn’t necessarily feel fulfilled in motherhood, that didn’t mean that I didn’t love my children any less. I had a light bulb moment of thinking that my Love for my children and being a mom to my children wasn’t synonymous with the love of motherhood. In fact, it was very freeing to think that I did all of the daily ‘mundane’ motherhood acts not because I loved the acts themselves, but because I loved my children and those mundane motherhood acts just may be in some way my ‘internal medicine’ training time. This helped me look at my life as a mother in this stage in very different eyes. Instead of beating myself up because I wasn’t finding pure joy and fulfillment in every single tiny moment, I relished the fact that I did these things because I loved my children dearly and want them to have the absolute best that I can give them. You know the irony of this? When I freed myself up to look at my motherhood stage from this angle, I started enjoying so many more mother hood moments then I ever had before. I have started to actively look for the mothering moments that truly do take my breath away and make me want to push pause and keep my kids in this phase forever. The other overall point from this (way too long) analogy is this: why do we as mothers, spend so much time comparing, contrasting, and criticizing (the great and dreadful triple C!) each other for each person’s chosen specialty? Can’t we just relish one mom’s specialty without taking away from our own interests? Why do we put such judgmental labels out there like those ‘selfish’ moms who want a career in addition to their kids, or those lazy moms who just let their kids roam around the backyard… alone *gasp*! How about we look at this as a community, all working together under the same ‘mommy hood’ umbrella, while carving out our own specialty version of what fulfilling motherhood is to us? How about we even go so far as to really enjoy and admire other mother’s specialties, without feeling threatened that in so doing, we would somehow take away from our own motherhood strengths? Just think how freeing it would be to help each other on this journey instead of ‘ts, ts-ing’ one another’s shortfalls. I think it is possible, and I thing the prospect is beautiful! So, whether you are an elf on the shelf superstar, or a tooth fairy failure, let’s let go of the triple C and come together to cheer one another on in this great mommyhood marathon, however we choose to run.